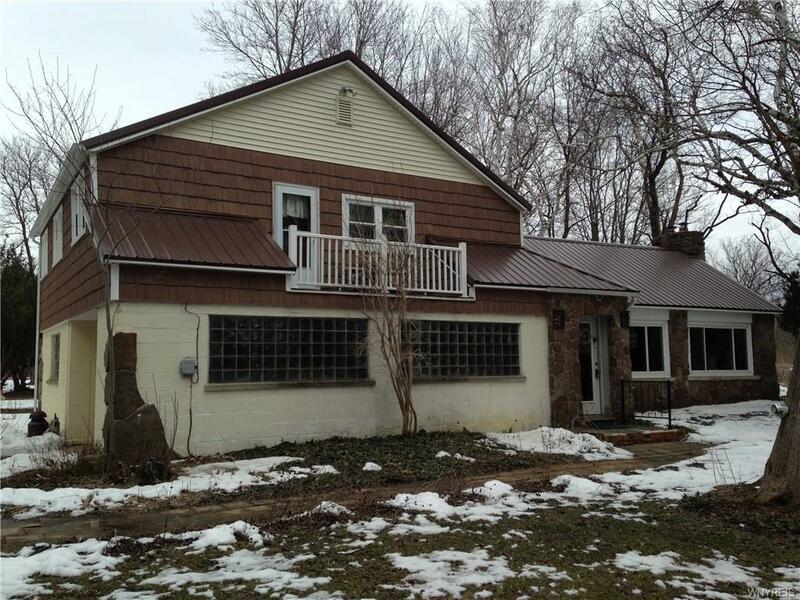 Wonderful wooded setting for this charming 3 bdrm, 1+1/2 bath home. Modern kitchen with corian countertops and tile floor looks out to woodsy yard. Huge living rm with woodstove insert in fplce and plenty of storage along picture window wall. Large bdrm with large closet space and outside balcony to watch wildlife, plus two additional bdrms, one ready to decorate.1st floor laundry includes washer and dryer. Metal roof new 11/18.Huge garage/workshop approx. 24x44 includes chain hoist.Additional bonus rm for office or hobbies. This property has been lovingly maintained and the 2.7 acres have been nicely landscaped with plantings and trails.